Alexandra DeSiato (E-RYT 500) has been teaching movement classes for nearly 10 years. Drawn to Pilates and yoga to heal a running injury, she quickly found that a regular yoga practice meant faster and easier running—and fewer injuries overall. While her yoga practice began as a way to heal physically, over time it became much more, and she started to appreciate the way yoga worked in subtler ways on her attitude, spirit, and heart. Feeling her body change with age and with becoming a mom shifted Alexandra’s yoga focus to two primary areas: yoga for healthy aging and yoga for women seeking strength-building and re-connection postpartum. She partners with her mentor and co-writer, Sage Rountree, on writing projects including a book on yoga and healthy aging, Lifelong Yoga, and a book on theming and enriching yoga classes, Teaching Yoga Beyond the Poses, both published by North Atlantic Books. 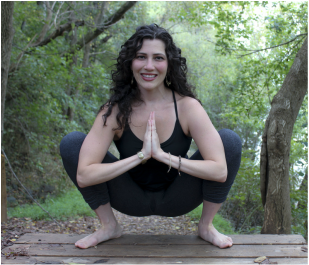 Her passion for prenatal and postnatal yoga led her to co-create Whole Mama Yoga (wholemamayoga.com) with Lauren Sacks. Whole Mama Yoga offers prenatal, postnatal, and mama-focused classes, and is a Yoga Alliance-certified Prenatal Yoga Teacher Training program. Alexandra is available for private sessions. Contact her at yogainsaxapahaw@gmail.com or find out more at alexandradesiato.com. In her spare time you can find Eleanor doing henna art, fairy hair, reflexology, creating delicious plant based desserts, or sharing time and a laugh with her husband, friends, or darling twin girls. Davida is a professional dancer and yoga instructor, who began her visual, performance, and choreographic studies at the age of 7. She is a graduate of the esteemed Alvin Ailey School of Dance, where she studied many other dance techniques; namely Horton, Graham, contemporary, African, and Dunham while becoming greatly influenced by the Gyrotonic method which she has studied for over 20 years. 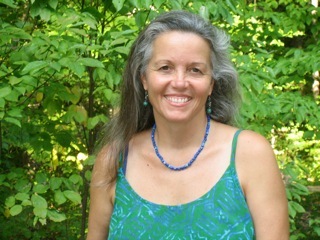 Her classes involve the fusing of yoga, Gyrotonic, and many dance techniques to given attendees improved well-being through total body awareness. She is also a certified Dementia Practioner who has worked in various adult day facilities doing programs and teaching movement. As a physical thinker, she is truly honored to be able to share her choreographic expression to others in a way that grants empowerment through movement. Janice Marie Durand is a NC Licensed Massage and Bodywork Therapist #1349 and Certified Somatic Therapist with a private bodywork practice outside Hillsborough, NC. She has guided movement and embodiment classes for over 20 years, including Gentle Energy Yoga, T’ai Chi, Chi Gong and Moving Meditation practices. Her passion and intention is to empower students to listen to their body’s internal rhythms and wisdom. She is the founder and Director of Tree of Life Center which offers professional development & Continuing Education for bodyworkers specializing in 'whole brain,' experiential learning thru Energy healing and Wellness classes since 1999. Sarah Horton-Campbell has been practicing yoga since 2003, and completed the Skill in Action 200 hour yoga teacher training with Michelle Johnson in 2018. She believes yoga is for everyone, and that yoga can be an empowering and transformative practice both on and off the mat. Sarah lives with her family on a sustainable farm in Snow Camp. She teaches Baby and Me and Flow Yoga series classes at The Bridge.